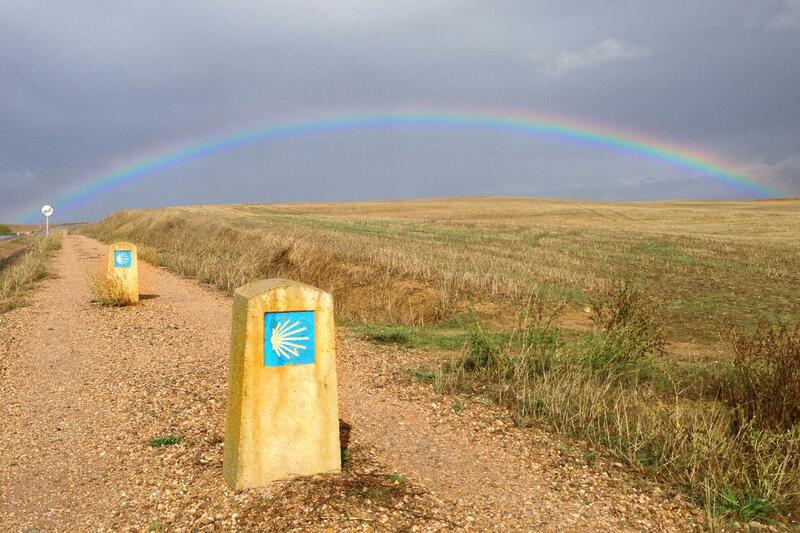 Walking the last 100km of the Camino to Santiago de Compostela. The pilgrim's mass at the Cathedral of Santiago de Compostela. 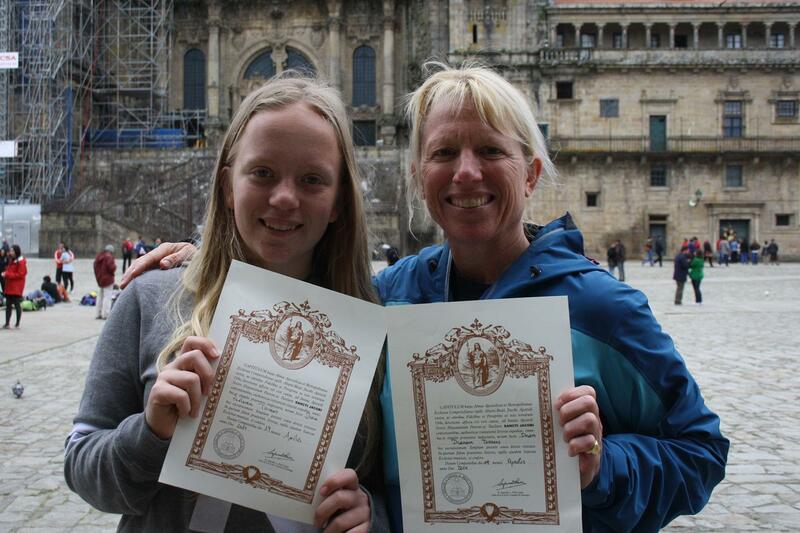 Collecting your Compostela from the Pilgrim's office in Santiago. Meeting fellow pilgrims, exchanging stories and turning strangers into friends for life. 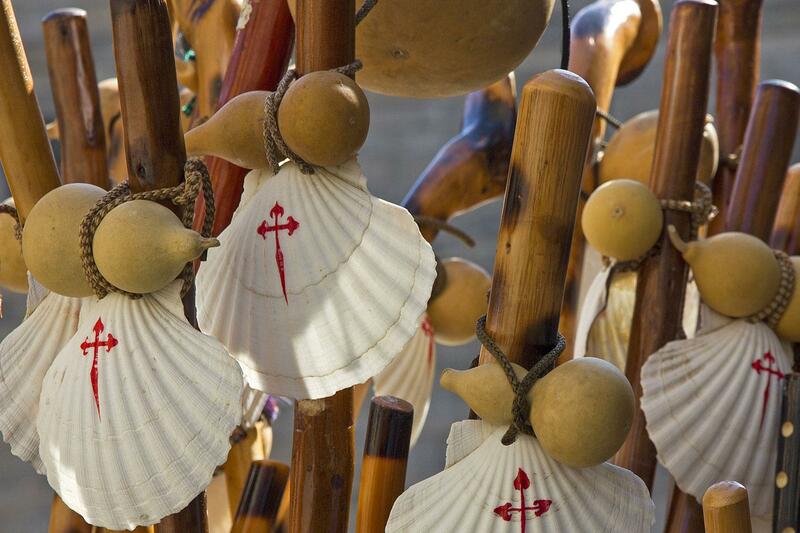 Walk the last 100km of the Camino Frances from Sarria to Santiago de Compostela on the famous Camino de Santiago. Walking this section of the Camino means you are eligible to collect your Compostela certificate in Santiago, one of the reasons that make this trip the most popular section of the Camino Frances. 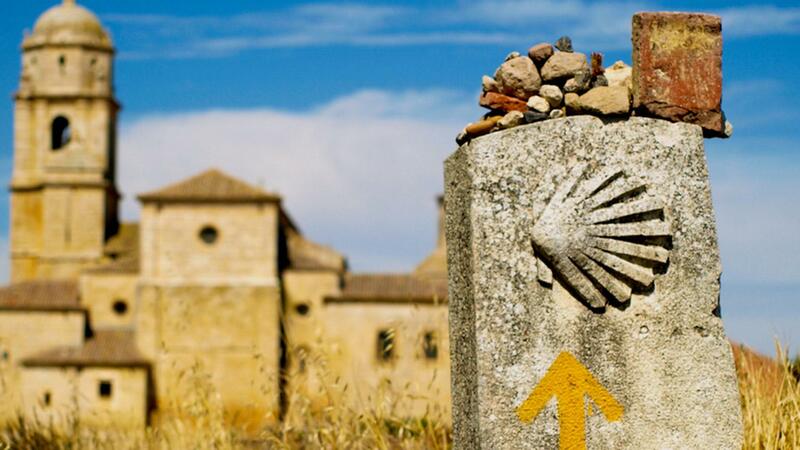 There are many reasons to walk the Camino, religious, spiritual or just taking a break from the stresses of modern life, but whatever your reason, the feeling of satisfaction when you receive your Compostela certificate on completion is overwhelming. 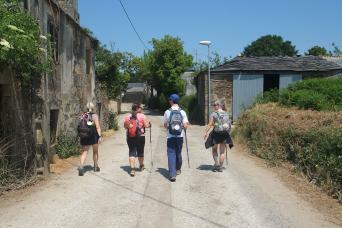 Walking the Camino is a unique experience as much about the people you meet as the places you visit. The route takes you through rural Galicia and is peppered with charming old churches and religious sites. It finishes with an emotional end at the magnificent Cathedral of Santiago de Compostela. 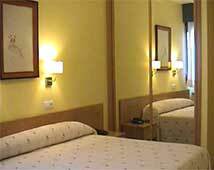 You can take a bus or we can arrange a private transfer from Santiago to Sarria. For more information see the "Trip Info" tab of this tour. Sarria is the last place from which you can start your Camino walk and still collect your Compostela (or certificate of completion) in Santiago. Pick up your pilgrim's passport, a scallop shell and enjoy an evening in one of Sarria’s restaurants, eating the local speciality, pulpo (octopus), while sipping on some delightful Albariño. Leaving Sarria you pass Sarria Castle with its one remaining tower, the rest destroyed in the peasants’ uprising against the aristocracy in the 15th Century. You will be walking along shady tree-lined roads and pathways this morning, passing through pretty small hamlets such as Cortinas and A Brea before reaching the stone marker; a photo opportunity before taking the first step on the final 100km to Santiago. The Camino ascends to a high point at Pena dos Corvos; at 660m you will enjoy panoramic views before descending into the lush Rio Mino valley, to Mercadoiro and then Portomarin. Enjoy the Galician ambience as you stroll up the cobbled main street and end your day by relaxing in one of the cafés surrounding the square. The Camino crosses the Minho river then steadily climbs upwards, before passing through the settlement of Gonzar and Castromaior where you’ll find the tiny Romanesque Church of Santa Maria. Continue along country roads edged by bright yellow gorse, pine and oak trees. Upon reaching the high point of today’s Camino at Sierra de Ligonde (750m), descend to the ancient hamlet of Ligonde. After passing Eirexe you cross the Alto Rosario and descend into the village of Palace de Rei. The shaded forests of oak and chestnut give way to eucalyptus and pine before you ascend to Arzua. Leaving the old quarter of Arzua the Camino leads past sturdy oak trees which give way to lush meadows. Visit the medieval shrine at Santa Irene, dedicated to a martyr saint from Portugal, and the Baroque fountain of healing waters. 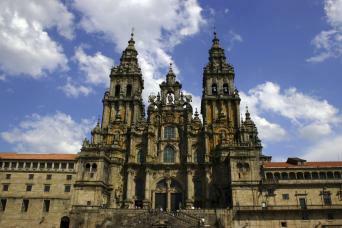 Today, you can look forward to a fabulous day walking to the Cathedral of Santiago de Compostela. The Camino leads first to San Paio and Lavacolla, where it was traditional for pilgrims to wash in the river before reaching Santiago. Tall eucalyptus trees sway in the wind as you make your way to the ‘Mount of Joy’ of Monte del Gozo (368m). 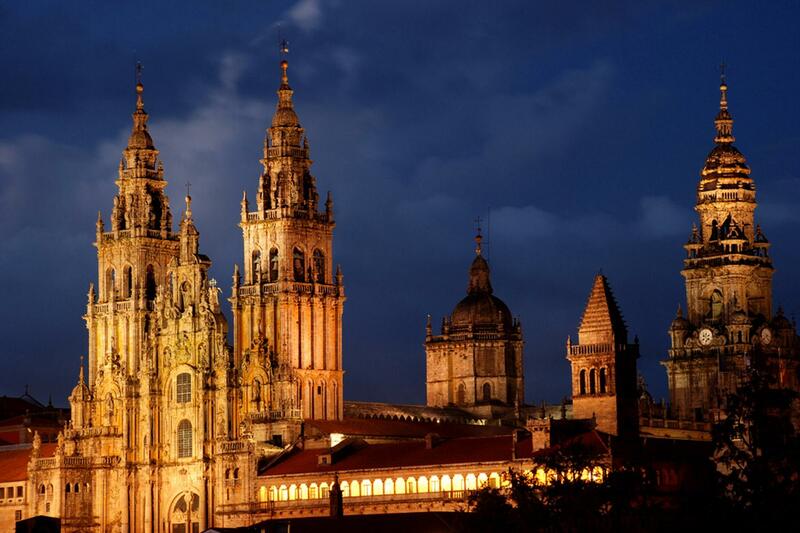 From here, catch sight of your goal - the impressive spires of Santiago de Compostela’s cathedral. The final kilometres of your walk take you through the beautiful streets of Santiago, a UNESCO World Heritage Site. Many people choose to continue their Camino to Finisterre, we can organise this for you too. 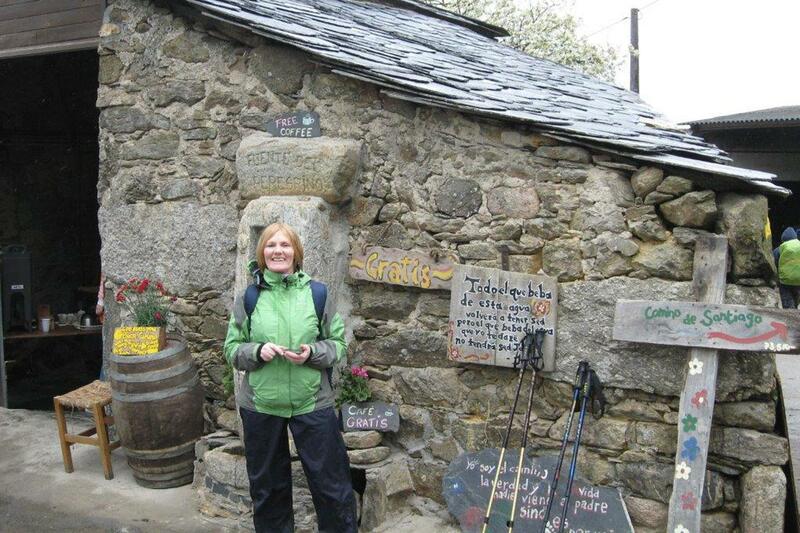 Have a look at the Camino Finisterre itinerary on our website. This walk is graded moderate and includes daily walks of 19-29km so you will be walking for between 5 and 8 hours each day. The trail consists of a mixture of dirt tracks, minor roads and footpaths. Baggage transfers are included (max 20kg per person). Your main bag will be transferred each day between your overnight accommodation so that you only need to walk with a daypack. emergency evacuation and hospital care. 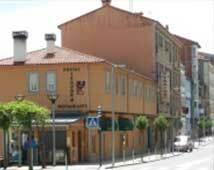 Then from Monforte de Lemos it is a very short train journey to Sarria by train – timetables are available at http://www.renfe.com/EN/viajeros/index.html (Sarria is small so you will find your accommodation easily). From Santiago, you can arrange a private transfer through Macs Adventure, to ensure a smooth end to your Camino. Alternatively, a bus runs between the airport and Plaza de Galicia in Santiago, stopping at different points in the city (Pazo de Congresos, Capilla San Lázaro, the bus station, the railway station, Rúa da Rosa, and others). From the airport the bus departs from 00:00 to 23:30, every half hour (duration 20 mins). Please see the Santiago Airport website for current timetables. This walk is graded as moderate and includes daily walks of between 19-28km so you will be walking for between 5 and 8 hours each day. The trail consists of a mixture of dirt tracks, minor roads and footpaths. You can start on any day of your choosing between February and mid-November, subject to availability. Macs adventures excelled themselves for this experience with their support. 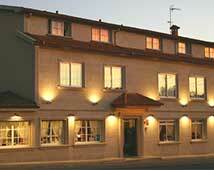 Great accommodation choices, all logistics taken care if effectively & efficiently. Would highly recommend. It was worry-free. Walking 20+ kilometers a day was exhausting , but that was because we, by choice, limited our time. Some accommodations are better than others, but they were all decent and clean. Unique experience of my history.. The most interesting and dificult travel of my live. Differents feeling during the 5 days of walking but a extraordinary final when you arrive to Santiago. I recomend this trip. 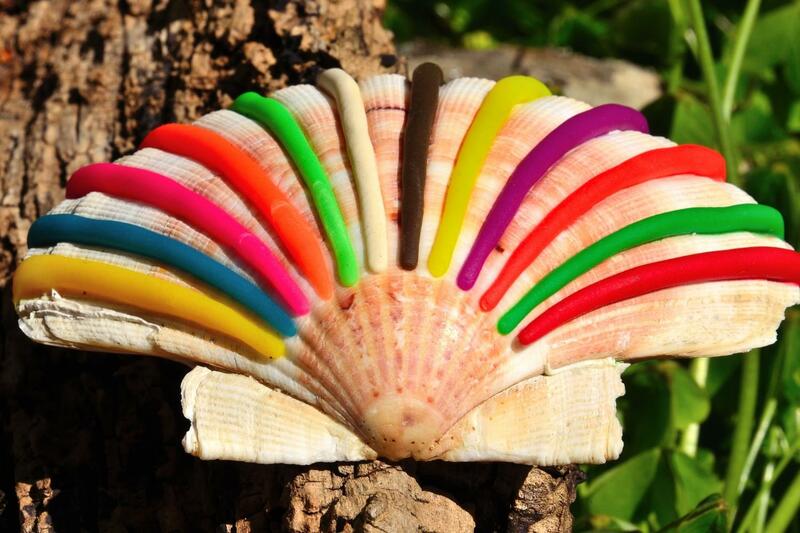 The trip was well organized and made for a totally enjoyable, and hassle-free experience. 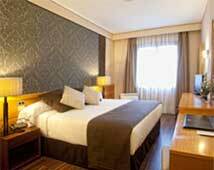 Not all the accommodations were top-drawer, but it was part of the Camino experience. Mac's choices for accommodations allowed us to be immersed in the Camino experience, while providing the comfort we sought at the end of a long day's hike. I'd travel with them again! We had a fabulous time walking the Camino, We met lots of interesting people along the route and saw some lovely rural villages, arriving in Santiago in time for the mid day mass. 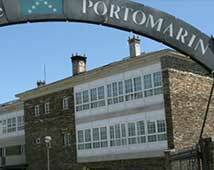 On our final day we took a coach trip to Foster and surrounding towns, seeing the coastline and the start of the Camino was the culmination of am altogether wonderful holiday.. This is a definite to do. With good equipment and preparation, anyone can do this. 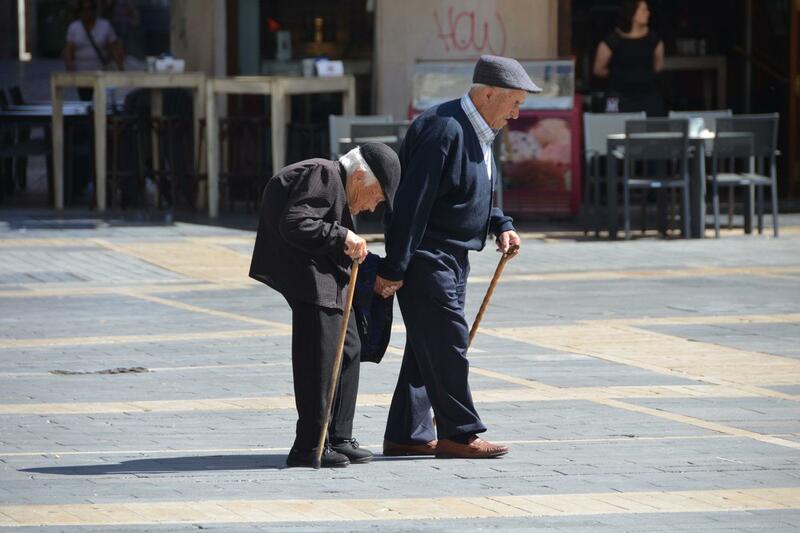 We met people of all ages that have done multiple camino routes. People were interesting, and accommodations were easy to locate each day. I would/will recommend this to my friends. Great communication throughout the booking and planning stage. A very enjoyable experience which can be tailored to all abilities. 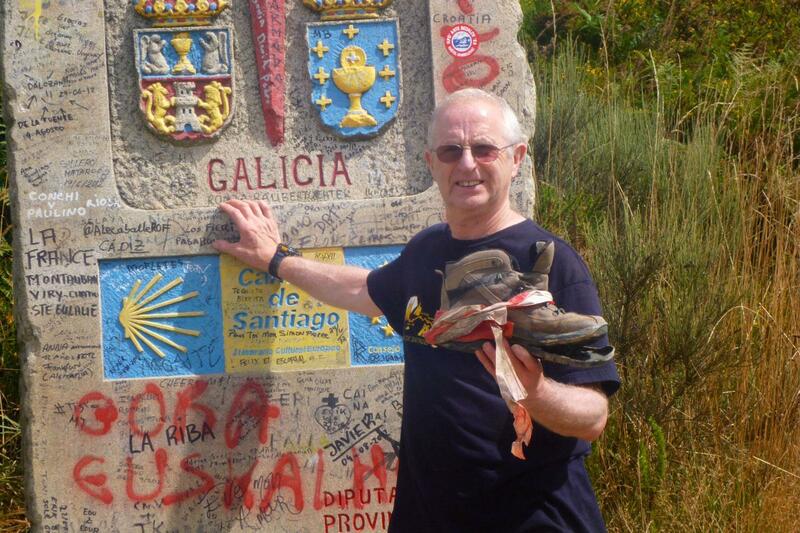 We did note that other groups received a Camino Shell with their packs which would have been a nice touch. This trip was brilliant from beginning to end, well organised and accommodation was really good quality. I didn't have to worry about anything other than putting one foot in front of the other each day and enjoying the gorgeous scenery and wonderful walking. If you don't have time to walk the full Camino or just want a taster of what the route is like, then this section is perfect for you. 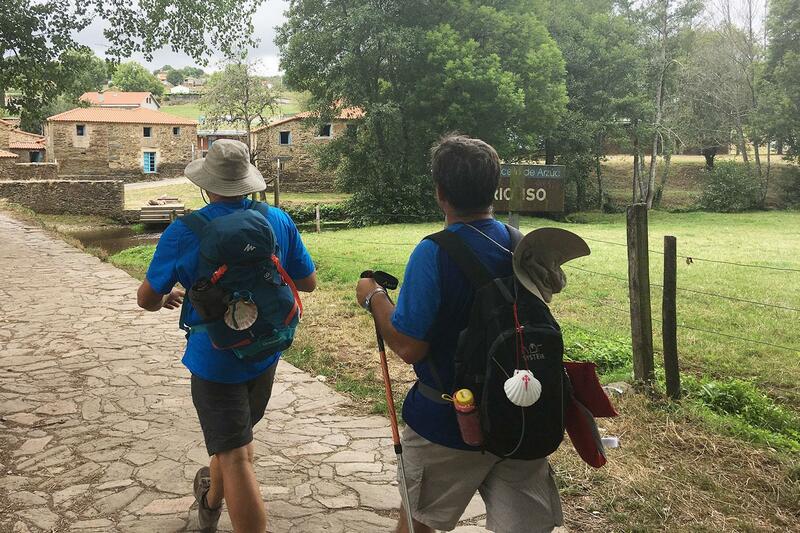 You still get the great sense of completion, walking into Santiago and getting your Compostela, and build that camaraderie with your fellow pilgrims.